LRAFB is the nation's only C-130 training facility. 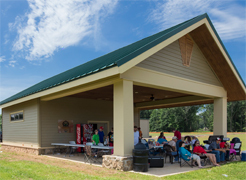 Dupree Park: Where the community meets to play. Catch of the day? Relaxing with the whole family. At the military museum, every day is Veterans Day. The Jacksonville Shooting Complex is on target for family fun. The Splash Zone is one of the coolest spots in town. From fireworks to FestiVille, learn more about the annual events held in Jacksonville. Find everything you’re hungry for with our quick and easy dining guide to the city. 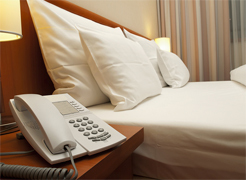 Get some rest in our cozy, budget friendly hotels - all with easy access to the city and the highway. 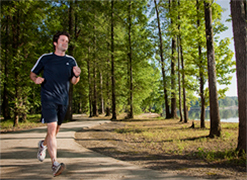 Our parks accomodate fishermen, runners and team sports as well as kids and puppies with extra energy to burn. 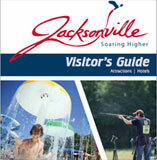 Watch the video to get a snapshot of everything Jacksonville has to offer. 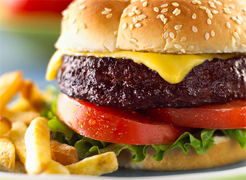 Stop in for a fun-filled day with the kids, grab a bite to eat, or stay at one of our many hotels. We look forward to you visiting our growing city in the heart of central Arkansas. 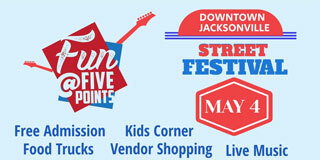 The Fun @ Five Points Downtown Street Festival will take place Saturday, May 4th on Main Street for a day of fun! As always, admission is FREE! 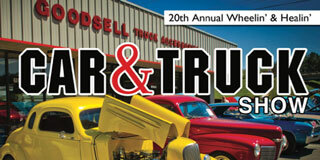 The 20th Annual Wheelin’ & Healin’ Car & Truck Show will take place in Jacksonville on Saturday, April 27th. 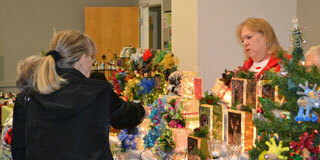 Capture the spirit of the season at the 41st Annual Holiday Craft & Gift Sale! Purchase original works of art and unique gifts from Arkansas artists and vendors from surrounding areas. Handmade creations include woodwork, paintings, jewelry, holiday décor and more. Jacksonville’s central location makes it the ideal place to stay while exploring Arkansas. Some of the state’s major attractions are only a short drive away. You can hear live music in the River Market entertainment district or revisit history at the Clinton Library in downtown Little Rock. Then visit the top-notch Little Rock Zoo, swim in the pristine waters of Greers Ferry Lake or browse the discount shops at the Outlets of Little Rock.